On Friday evening 21st February 2014 at 7pm (CST Adelaide), 12 lucky cadets from the South Australia Wing of the Australian Air League will have the opportunity of a lifetime, to speak with Astronauts on board the International Space Station. The hook up has been organised with the assistance of NASA following a detailed application process by the members and parents of Parafield Squadron and the cadets were very fortunate to be chosen. Only a handful of events such as this have taken place in Australia and this is a first for the Australian Air League. It will take place at the South Australia Aviation Museum, home of Port Adelaide Squadron. 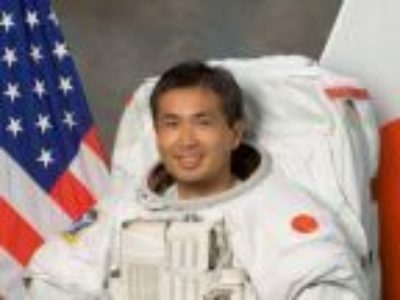 The cadets will be speaking with Japanese Astronaut Koichi Wakata, a veteran of 4 NASA Space Shuttle missions who has spent nearly 5 months in space with a space flight career of nearly two decades. Originally an engineer for Japan Airlines, Wakata will shortly be the first Japanese commander of the ISS. While the cadets are speaking to him, the ISS will be overhead Hawaii at a height of around 400 km and travelling at 27,000 km/hr – a remarkable feat! “In the South Australia Wing we’ve been following the astronauts on the ISS for over 18 months now,” said Squadron Captain Martin Ball, Wing Education Officer for South Australia. The Australian Air League is a youth organisation for boys and girls aged from 8 to 18 years, which encourages an interest in aviation as a career or as a hobby for the youth of Australia. The Air League has three Squadrons in Adelaide located at Gawler, Port Adelaide and Parafield and has well over 100 members. Cadets will be attending from all three squadrons on Friday. As well as South Australia, there are Air League Squadrons in most states of Australia. This year is also the 80th Anniversary of the formation of the Australian Air League. A live NASA feed from the ISS can be found here. The South Australian Aviation Museum was started in 1984 by a group of enthusiasts interested in aviation history and aircraft restoration. Displaying aircraft and engines with relevance to aviation in Australia ans South Australia in particular it became the official aviation museum for South Australia in 1990. The museum is located at 66 Lipson St, Port Adelaide and is open everyday except Christmas Day.